This is the season to be jolly pretty! 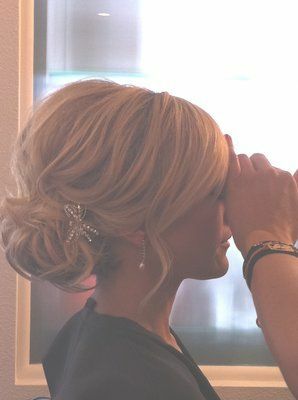 And we have brought the top 12 smashing but chic hairstyles for every occasion this year’s favorite holiday has to offer. You can go wild and experiment or stay understated and elegant, we have got the best picks for you. Meeting friends or family for a bite before you go to church? 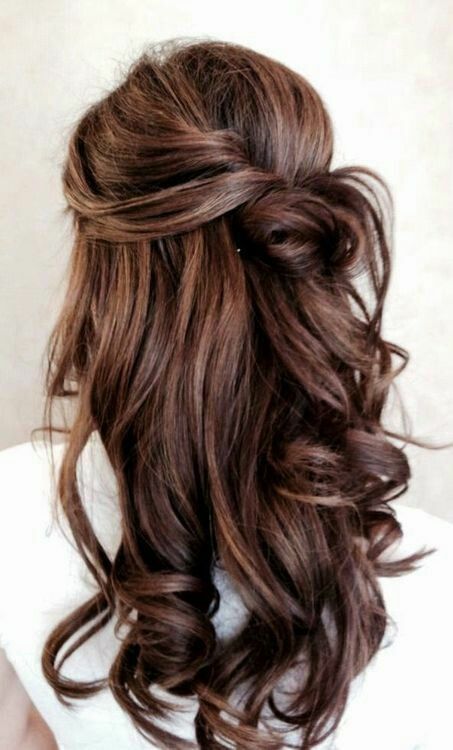 This is the perfect hairdo for you. 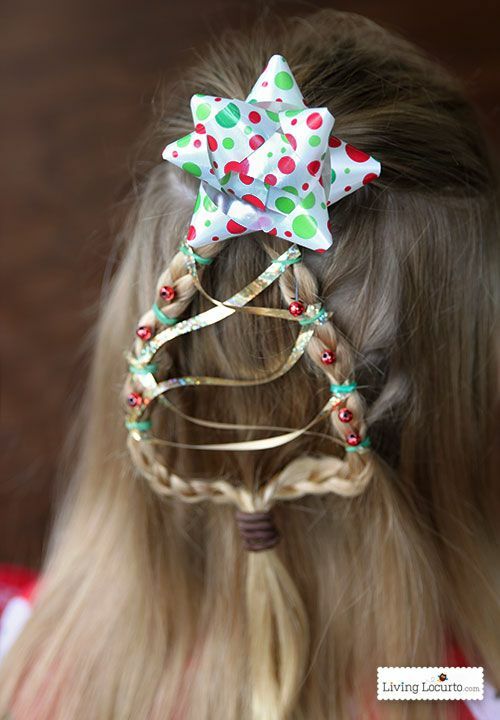 Simply steal some of Christmas trees baubles and attach them to your hair using bobby pins. You can also hook them onto your tic tac pins for a greater hold. 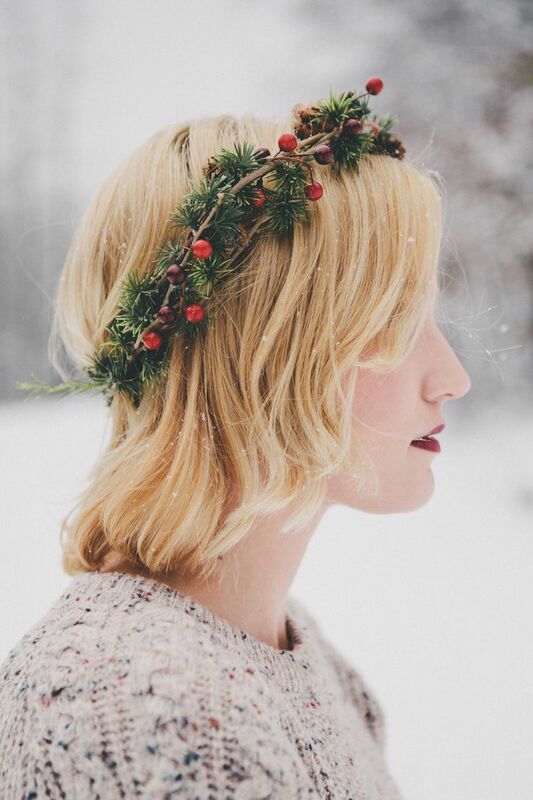 This is the perfect look to usher Christmas in, it’s so happy and festive! The effect is glam and you will definitely be the star of the show wherever you go! 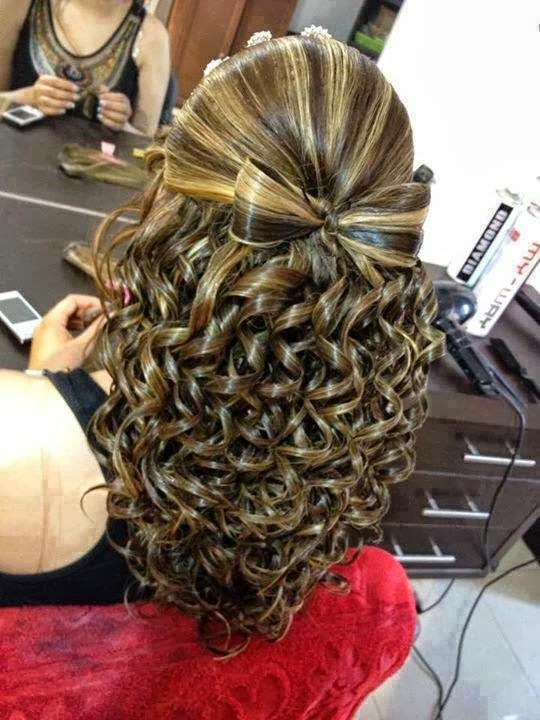 Get your hair styled with the perfect ringlets of curls (especially if your hair is already curly) and add the bow on top. With professional help, it will not be too much trouble! This hairdo is a whole festival in itself. Not doing anything spectacular this Christmas? But are you still feeling the fever? 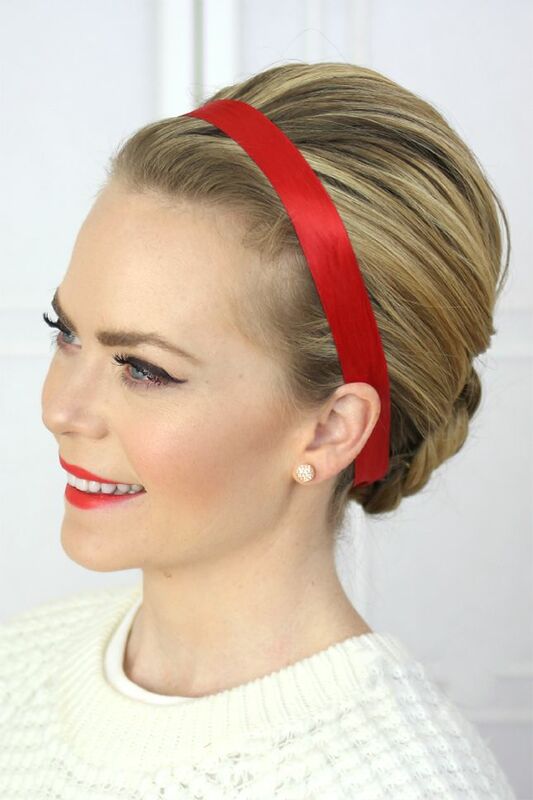 Wind your hair in a simple bun on the top of your head for a casual but stunning look. Style a few strands of your hair to slip out and fall beautifully. So even if you are out grocery shopping this Christmas, you will look fantastic. Mingling with the higher ups? 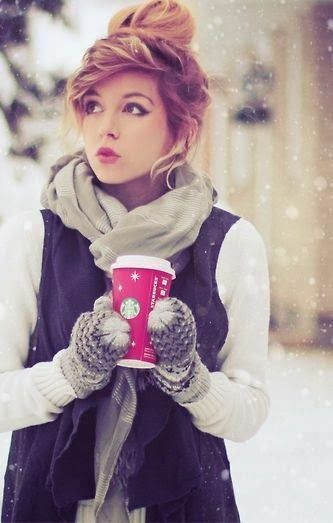 Just pull your hair into a slightly messy bun and hold it together with a Christmassy accessory like a snowflake or a star pin. Worn with a red or green dress it will complete the effect of Christmas, without making you look ridiculously enthusiastic or unprofessional. Visit the 1940’s for a night and let it’s magic make your Midnight Mass that much more special. Wear red lipstick and a flowing tea length dress to complete the effect of the period hair. It’s beautifully styled and held together so elegantly, it’s perfect for bowing your head in prayer. If you are headed for a party with a semi formal dress code this Christmas, this look is totally for you. You would think, using something like a ribbon would make your outfit appear childish, but this is the most sophisticated of the lot! The ribbon in fact adds some character to the look, making it even more gorgeous. It’s difficult not to give in to a little festive cheer so close to Santa’s arrival. 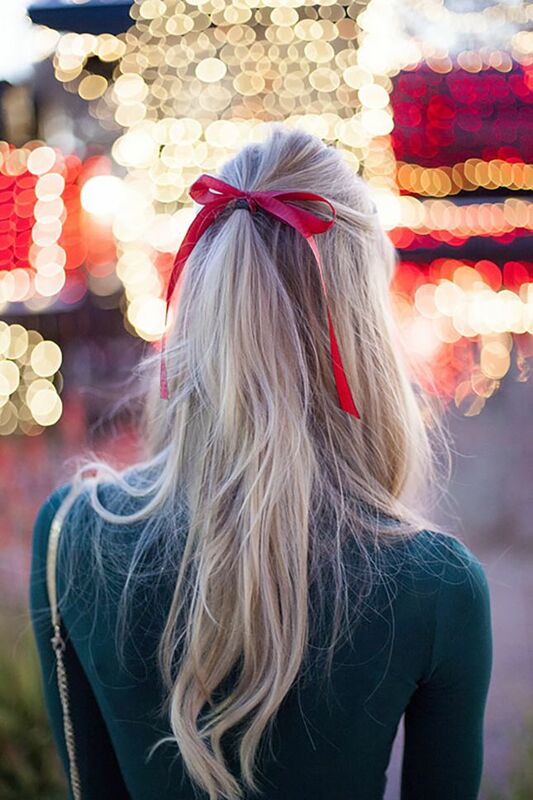 So why not play it up with a cute little red ribbon in your hair while you’re out playing Santa? You can even opt for a green or a golden ribbon, whatever you’re comfortable with! 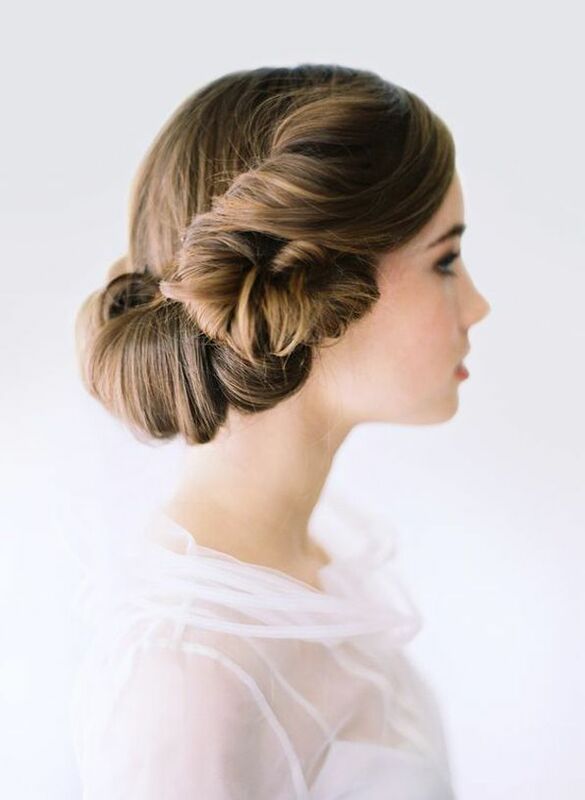 Let your locks flow over your shoulders, with a small knot at the back of your head for the perfect lunch look. Pair it with a flowing chiffon dress and wrap to keep out the chill and you’re ready! It says demure yet fun loving, which is a perfect combination for Christmas lunch. Use this simple but interesting studded headband trick to look sophisticated but understated at the same time. It’s a great way to keep your hair in place, because after all you could be having a long day. Make sure all your tendrils are in place and spray on a little hair spray so it continues to look so neat. Nothing really gets you in the mood of Christmas as much as a decorated wreath, does it? Flaunt in your head by using it as an unusual but useful headband. Paired with a slinking red or gold dress and high heels, this look is sure to set you apart from all those girls out there wearing Santa hats! If you are celebrating this joyful festival with your family, you can probably afford to try out this elaborate little hairdo. Red and green ribbons and beads are used to create a Christmas tree pattern that is sure to start conversations. 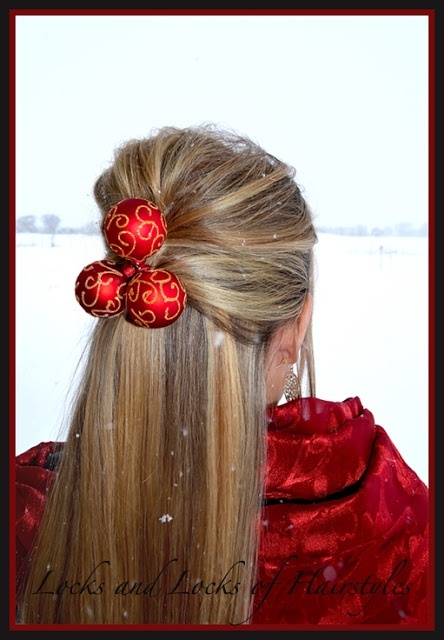 Replace the big bow with a Christmas tree clip to try out a twist on this look. If you are spending Christmas at the local watering hole, you need to try something other than what you would usually wear. 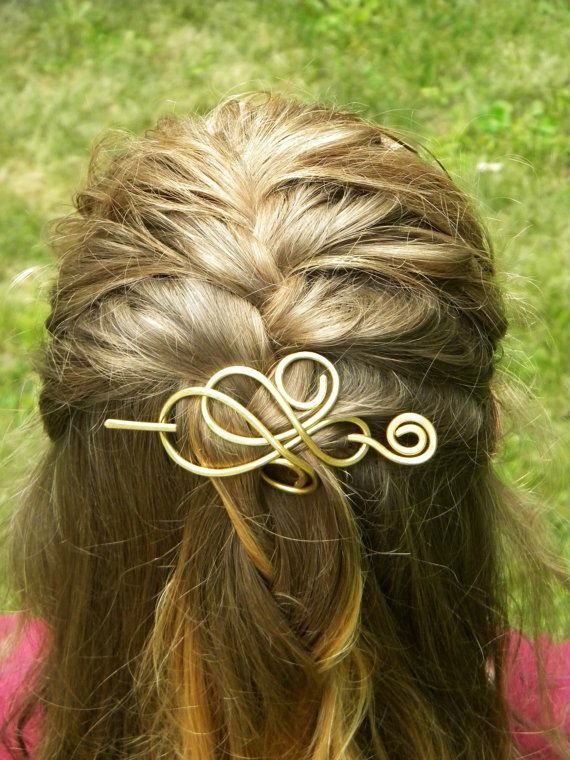 The golden slide paired with the half French braid can easily add a touch of festivity to your look! Blow dry the rest of your hair so that it behaves and let the braid be the centre of attention. Keep up the good cheer by trying out different looks! Raid your wardrobe and existing accessories before you hit the shops, you will discover many Christmassy things in there which you would probably not have noticed till now.